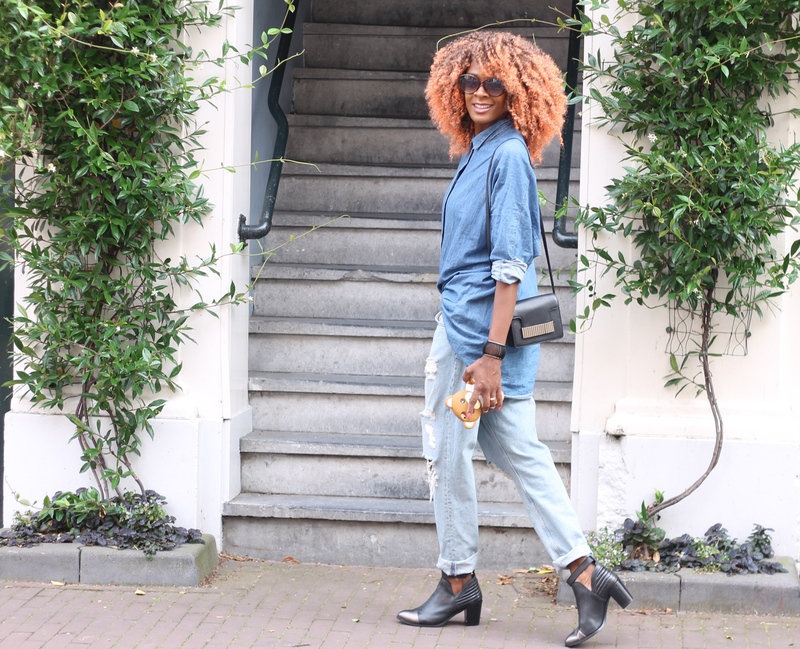 There are still doubts about how to style an ankle boot or even considering wearing one. Some say they cut off your legs which can make you look shorter and others say it make your feet look bigger. But guess what if you style them the right way it’s a more than pleasant shoe to add to your wardrobe and if you choose the right kind of heel it might turn in to that booth you wish you had bought way sooner. My favorite ones are these block ankle heels from sasha shoes. You get extra height but they’re still comfortable. With cuffed jeans. Don’t be scared to roll them up and go for that nonchalant but still stylish look. Roll your jeans so the hem just barely hits the top of your boots. I styled it with my new distressed boyfriend jeans but this also works well with a straight fit. This rule doesn’t apply to flared jeans!!! You just don’t roll those up but that goes whithout saying, right? With shorts. Chunky ankle boots like these can work with shorts, skirts or dresses as long as they’re above the knee. Showing more leg make your legs look longer. A dressier ankle boot is likely to work with any length dress or skirt. With skinny jeans. 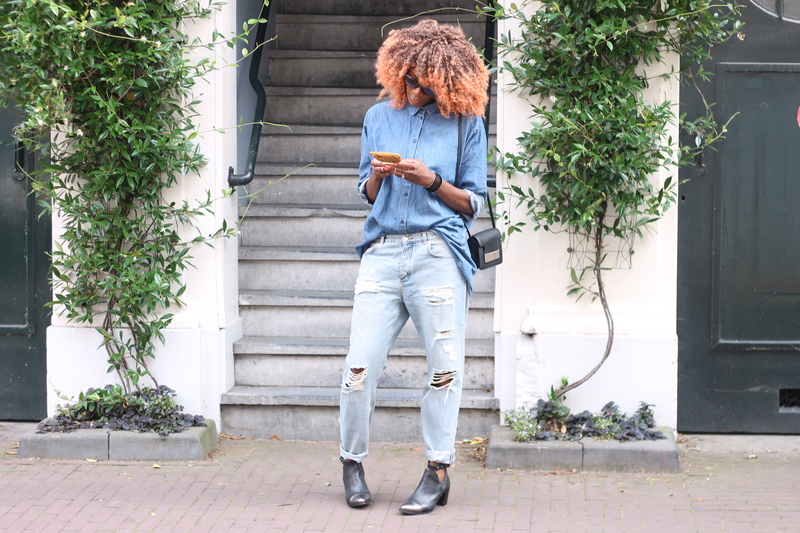 Any color denim goes but I love to pair them with dark jeans which makes your legs look long and lean. These tips are just to get you started. But don’t hesitate to play around with them especially when the boots are nice and fitted to your feet and have thin heels, you can wear them with just about anything you would normally wear pumps with. Have a look at https://www.sacha.nl/shop/damesschoenen/enkellaarsjes/. 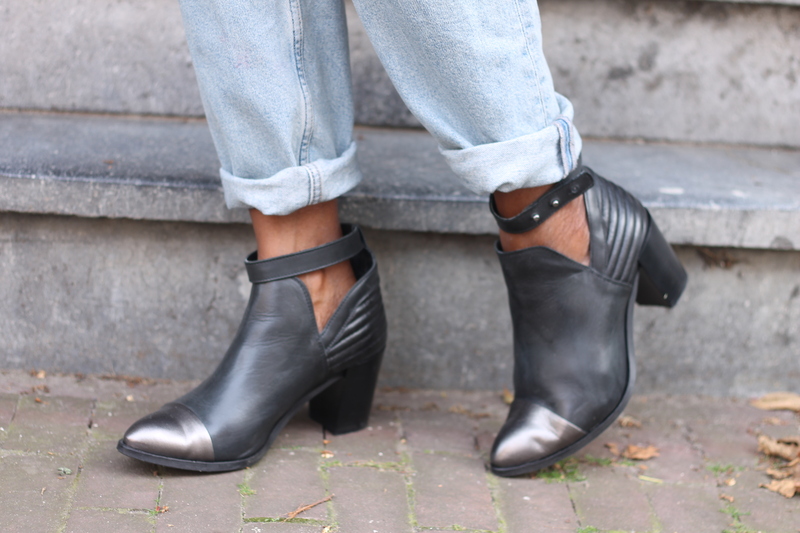 Sacha shoes have a wide selection of ankle boots. I am sure that you will find one that fit your demands. Make sure you tag me in the pictures you took with your new purchase, I would love to see your choice and they way you styled them!